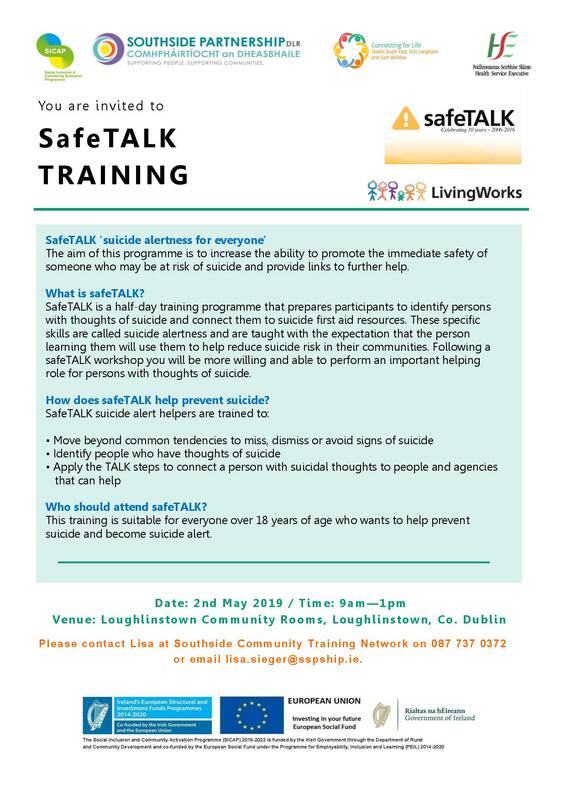 SafeTALK is a half-day training programme that prepares participants to identify persons with thoughts of suicide and connect them to suicide first aid resources. 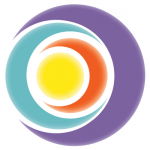 These specific skills are called suicide alertness and are taught with the expectation that the person learning them will use them to help reduce suicide risk in their communities. Following a safeTALK workshop you will be more willing and able to perform an important helping role for persons with thoughts of suicide. Please see more details on the poster. To find out more or to book your place please contact Lisa at Southside Community Training Network on 087 737 0372 or email lisa.sieger@sspship.ie.